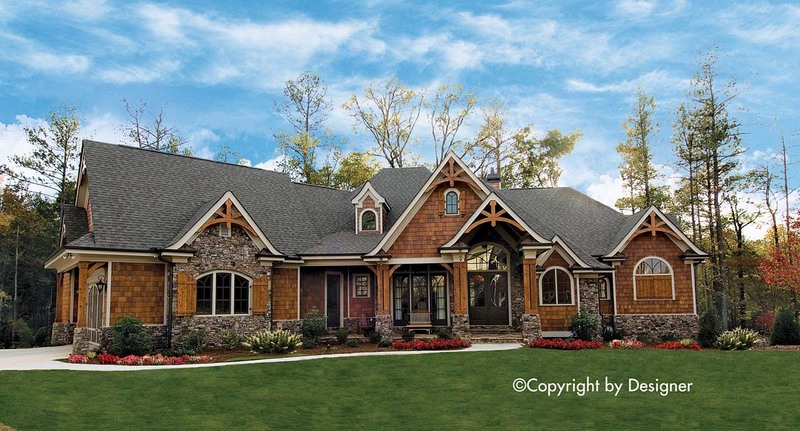 This incredible mountain house plan is sure to please everyone in your family. From the moment you step onto the covered porch you will be surrounded by a sense of nature. The timber truss details on the exterior and interior of this rustic home design are one of a kind. When you walk through the front door you will be greeted by a vaulted foyer and lodge room which allow an ample amount of natural light. A cozy study sits off to the right perfect for an evening of exploration in your favorite book. Across the foyer, a formal dining room awaits family holiday dinners. The large vaulted lodge room which includes a fireplace, built-in bookshelves and a wall of windows is sure to delight. The gourmet kitchen opens to a casual breakfast area and a beautiful keeping room perfect for entertaining. Feel the breeze hit you face as you walk out onto the open deck. The master suite includes a large walk-in closet,spa -like bathroom with walk-through shower and morning kitchen. Also included on this main level is a second bedroom with full bath,laundry and 2 car garage with additional area for a workshop and/or storage. Two additional bedrooms both with full bath,laundry and 2 car garage with additional area for a workspace and/or storage.Two additional bedrooms both with full baths and walk-in closets are located on the 2nd floor above the garage area. 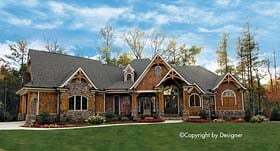 We offer floor plan modifications on all of our Craftsman style house plan designs.